This entry was posted on November 8, 2013 by Jessica Anderson. Have you ever wondered how your award is made? 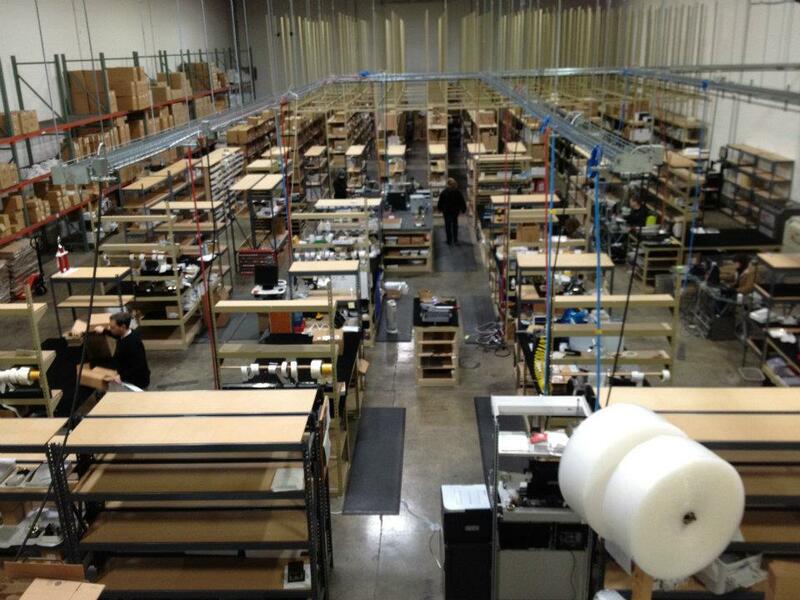 Come behind the scenes for a virtual tour of our production facility! After you press the “Place My Order” button on our website, your order goes directly to our customer service team, located in Issaquah, WA. Many of our trophies contain separate pieces that must be screwed, glued, or taped together. We check to make sure we have all of the necessary pieces in stock. Janice, Mika or Margene looks at your order and double checks the inventory needed. 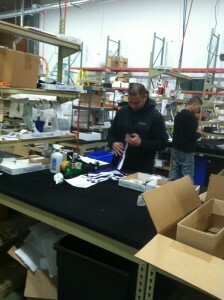 After that, your order is processed at our production warehouse in Renton, WA. Paul engraves trophy plates on the rotary engraver. 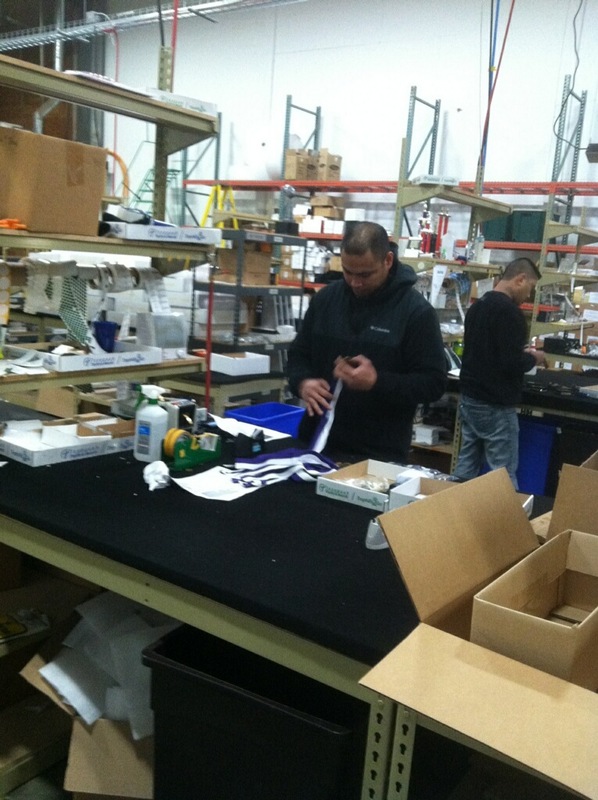 It takes many caring hands to create your awards at our Production Facility. First, the individual components of the trophies are “picked” by our production team. All of the pieces of your awards are placed in a box and checked off a list. Once completed, the order goes one of two ways. It moves to either our Rotary Engraver or our Laser Engraver. Rotary Engraver If the order goes to the Rotary Engraver, it is most likely engraved by our expert engraver Paul. 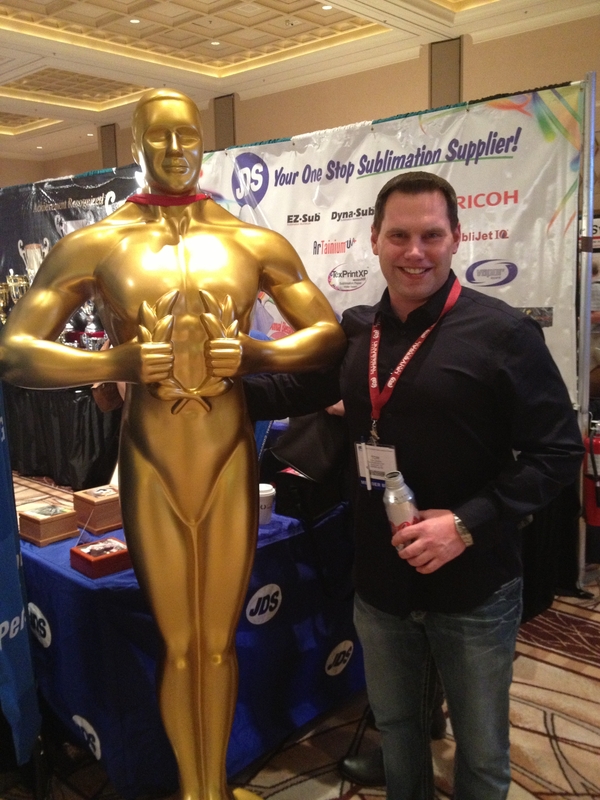 Since 2005, Paul has been designing and engraving awards with his diamond tip rotary engraver. His machine engraves brass, aluminum and medallions. 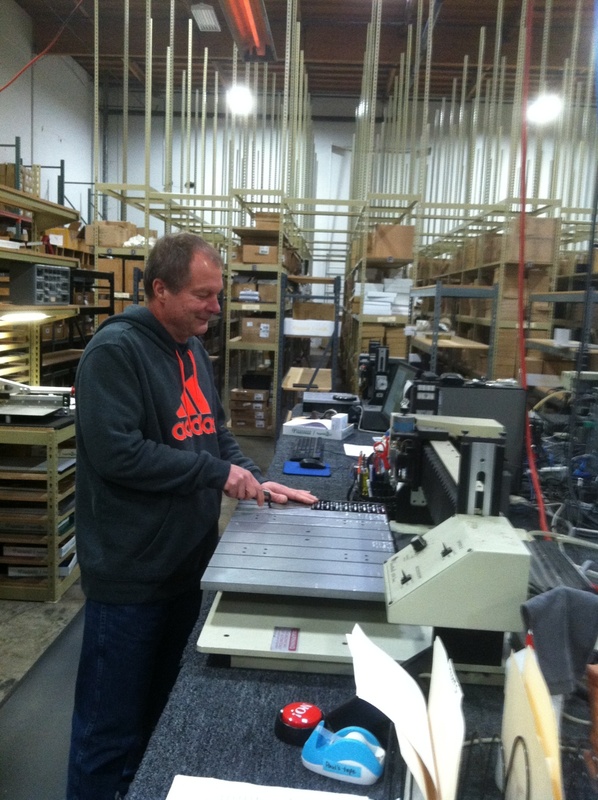 He is extremely thorough and accurate, and he knows precisely how to lay out designs on metal. 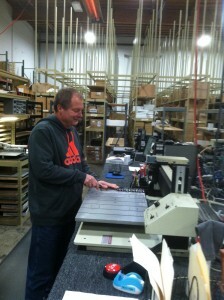 Most trophy plates pass through Paul’s machine before they are attached to an award. Edzel assembling a medal order. After the rotary engraving is done, the awards are assembled by master Edzel. He is a whiz at building every kind of trophy, plaque or award imaginable! Most often, he screws all of the pieces together, attaches the engraving, and cleans the trophy. At this point the order is ready to be shipped to you! Laser Engraver If the order goes to the Laser Engraver, it is most likely engraved by Laurie. She is an amazing artist with an eye for design. Laurie programs your artwork and message into her computer, then runs your acrylic or crystal award through our laser engraving machine. Many of our awards are then masked with tape and sandblasted, followed by cleaning and careful packaging. Shipping Once your order has been engraved and assembled, it is invoiced and passed to Chris, our extremely conscientious shipper. She packs all orders with care to arrive to you safely. Her goal is to make sure that your awards are in the same condition when they arrive to you as when they leave our warehouse! Manager Tom & Oscar in Vegas! All of this couldn’t happen without the oversight of our hardworking production manager Tom. He sees that all pieces are there for every order, and that each trophy we make arrives by the guaranteed delivery date. Our team at Trophies2Go cares about your order just as much as you do. We know how important and special your event is, and we take the honor of making your awards seriously. To see more of our staff in action, watch our ‘Day in the Life of a Trophy’ video.